Recode’s Jason Delrey reported Friday that beta testing is underway for an Amazon Alexa voice intercom feature. The intercom solution would connect Alexa devices such as Amazon’s Echo, Dot and Tap for voice connectivity. 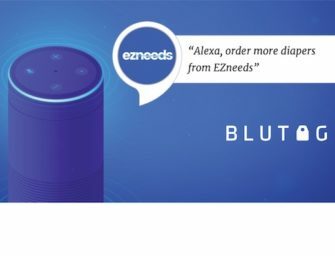 The Wall Street Journal reported in February that Amazon was working on a calling feature that would connect its voice assistant devices. The Recode article suggests that the solution is already in testing and is imminent. Sources say they expect an announcement in the coming months. An Amazon spokesperson declined to comment. An important nuance between the earlier reporting and the Recode article is the focus on intercom as opposed to voice calling. The functionality to connect devices within the same network and assigned to the same owner is certainly less complicated that making telephony style calls over the open internet. The approach also seems reasonable. Many of the privacy and technology issues that you face in person-to-person calling can be avoided by keeping the initial solution in the home. Amazon is in a pitched battle with Google Home to become the voice assistant of choice for the household. The company has over 90% market share today, but Google Home is new and last week it became available to about 30% of Android smartphone users. Integration between smartphones and home voice assistants is expected to provide added value to users because it can maintain context throughout the day and in theory will provide a higher level of personalization. Google is also planning to launch Home in the UK this summer adding competition in another of Amazon’s markets. A way to combat this new competitor is to provide users with more utility. Google’s original promotional video for Home included an intercom-style feature, but it wasn’t available at the launch in November so this could provide Amazon with another point of differentiation for a period of time. A recent Voicebot analysis using data from Voicelabs concluded that first mover advantage is important in this market because only about 11% of households are expected to switch to a new assistant once they have adopted one. That means 89% customer retention for whomever makes it into the home first. An intercom feature is just the type of benefit that can sway a consumer to prefer one product over another. An intercom system could be a killer app for Amazon for two more reasons. First, for families it will likely increase usage. Very few households have implemented voice intercoms, but having the ability to quickly connect with another family member is clearly a convenience that can increase frequency of use. Second, the intercom offers consumers another reason to place a voice assistant devices in multiple rooms of the home. A recent Voicebot analysis concluded that Amazon Echo owners today average 1.18 devices per household. That number could climb significantly with the addition of an intercom feature. At only about $50, the Echo Dot is an affordable way to place the devices throughout the home. This is another advantage that Amazon can exploit given that rival Google Home is only offered in the $129 flagship product form. When you have one Echo in the home, you might be tempted to replace it with a $129 Google product at some point. When you have five or six, the proposition today is that you would have to spend $600-$700 to make the transition. Having more devices will only increase tangible switching costs for consumers and further cement Amazon’s first mover advantage.